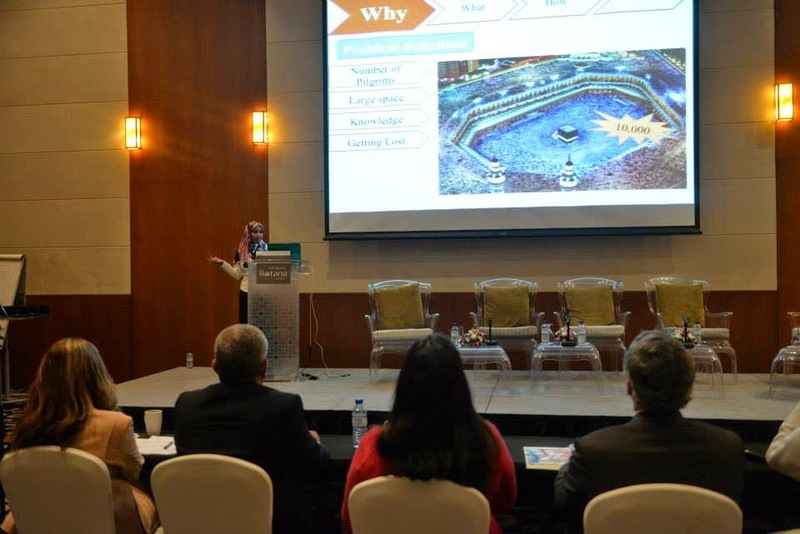 I participated in the Third Arab Innovation Network Annual Conference (AINAC 2014) 27-28 September, AbuDhabi, UAE, the Youth Competition, which aims to provide a platform for talented and bright minds to showcase their ideas in front of an international audience and get feedback from experts in the field. Among 150 participants from different Arab countries, only 11 reached the finals. We presented our ideas/ projects in front of international judges who are experts in the field. I won the third place in the competition by my project "Manasik Guide Devices for Hajj and Umra". which are devices provided for Pilgrims and organizers to help and guide pilgrims in their process during Hajj and Umra as well as keeping track of accompanies -specially children- who are easily getting lost in Hajj. Moreover, Monitoring applications are provided to organizers to manage the whole process of pilgrims and enable helping them easily. This video illustrate the project idea. manasik guide devices.